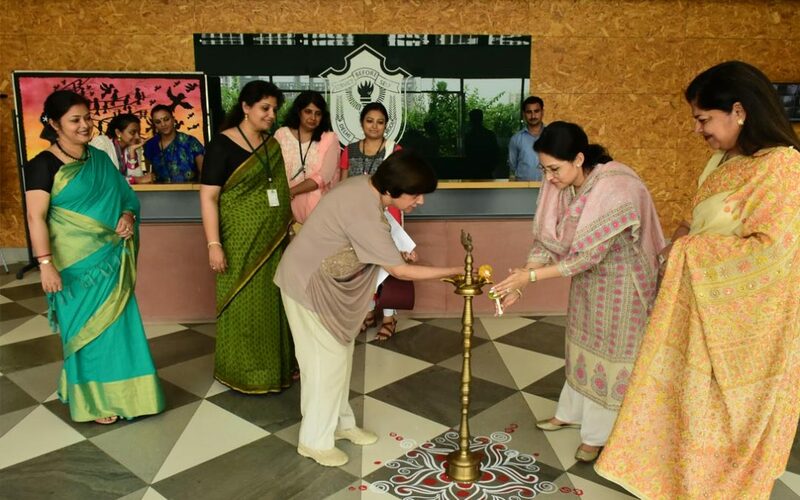 Delhi Public School, Sector 84, organized plantation drive, on 21st August, 2018. 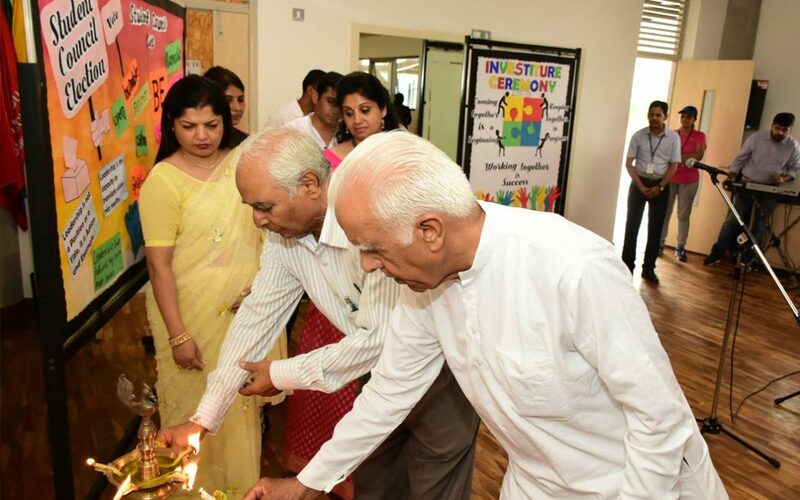 The initiative was accomplished under the able guidance of our school Principal, Ms. Neelu Sharma. Students were given a variety of saplings, which included some medicinal herbs as well, to plant at various spots in the school ground. 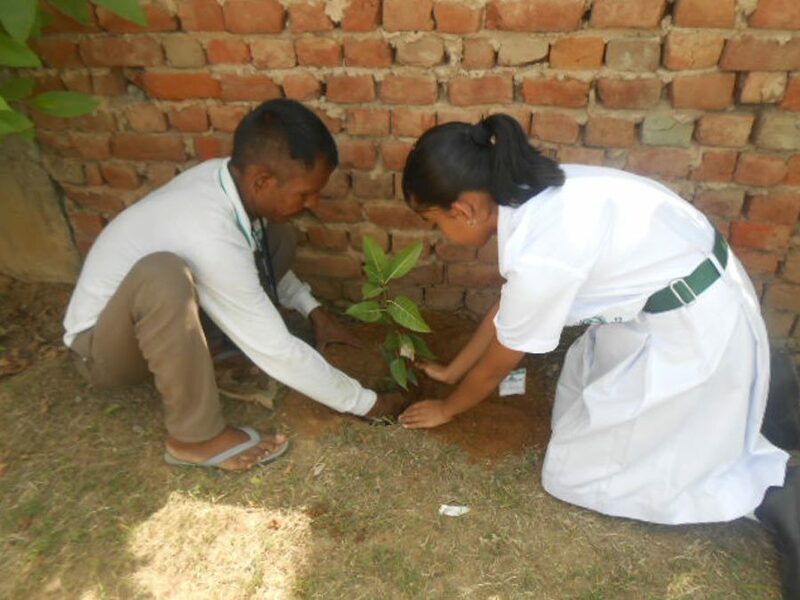 In total 65 saplings were planted by the students of Grades VI, VII & VIII. As a policy, we, at DPS, Sector-84, encourage our students to plant a sapling on their birthday. The sapling plantation drive is taken as part of the Earth Day activity. The main objective of initiating such drives in school is to make our students more conscious of the duty the citizens of the world have to save Mother Earth from further degradation and learn to progress by striking the right balance between sustainability and use of nature’s bounty. 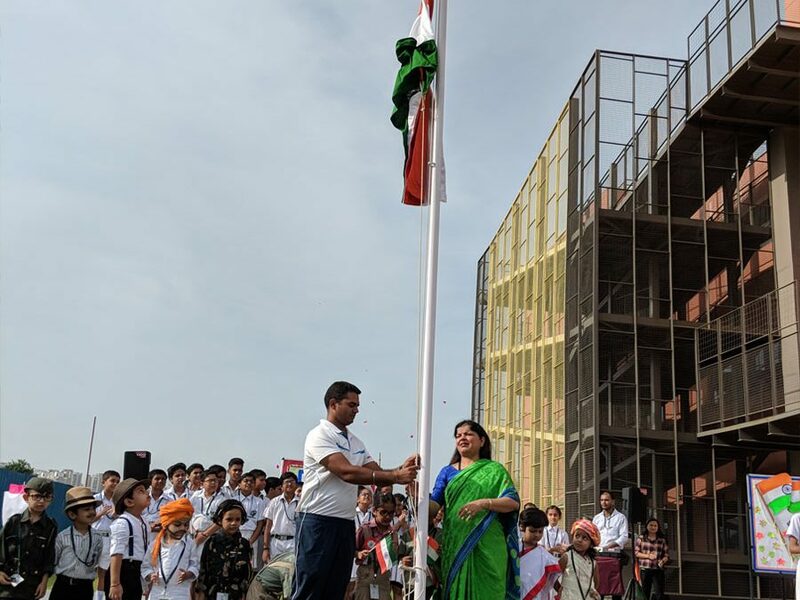 DPS, 84 with lot of patriotic feeling and enthusiasm celebrated India’s 72nd Independence Day by having a special assembly and flag hosting ceremony in school. The entire school ambience was filled with patriotic feelings that emanated from various songs aired on the campus, pre-primary students dressed in tri-colour and as freedom fighters. The Principal of the school unfurled the National Flag, the students saluted with reverence and pride and sang the National Anthem. The programme included a skit on ‘Hamaare sapno ka Bharat’, patriotic songs sung by choir students, a dance performance based on patriotic songs, parade of our great freedom fighters and speeches eulogizing the great sacrifices made by them. This was followed by Principal’s message to the students reiterating that India’s freedom came at a cost and no one should forget the sacrifices made by our great leaders. 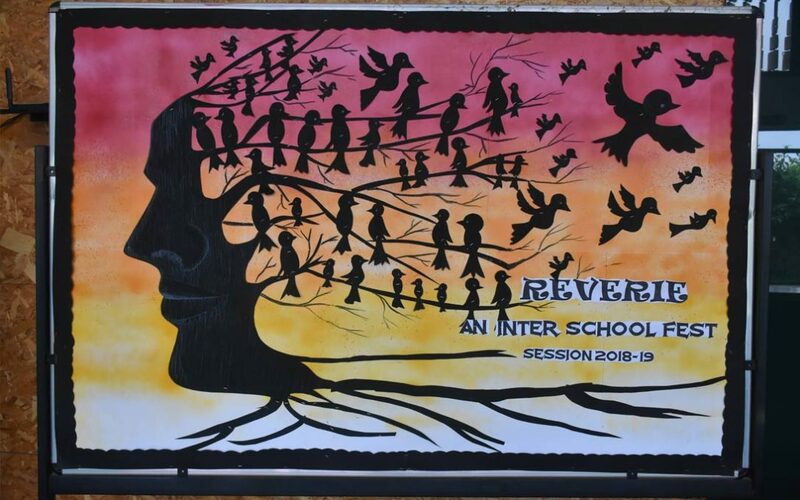 Delhi Public School, Sector 84, organized its first Annual Inter- School Fest, ‘Reverie’ to provide opportunities to develop and hone the students’ skills, explore talents and abilities besides providing a platform for interaction amongst students. The theme for this event was ‘Dreams’. The Fest commenced on the 7th of August, 2018, a very significant day indeed and a day to look forward to many dreams brought together in different forms. First day of the fest included four events , namely ‘Become an Imaginary creature’, ‘Create a zoo using 3D shapes’, ‘Best out of E-Waste’ and ‘Quilt a dream’. The host school extended invitation to neighbouring schools to participate in the fest to make it a mega event. Our honourable judges for different events were Ms Nidhi Tyagi, Head of Klay Playschool, Ms Shweta Bhatia, Head of playschool ‘Bachpan’ and Mr Ashok Sharma, HOD arts department, DPS Maruti Kunj. The most awaited moment was the announcement of winners and distribution of trophies to them. The school which receives the most points will take home the Winner’s Trophy. With belief in the above mentioned quote and with the intent of creating worthy future leaders, students of Delhi Public School-84, elected their student representatives through a democratic system of electronic voting and a series of interviews. The chosen counsel took oath and officially assumed responsibility in the Investiture Ceremony held on 3rd August, 2018. A very important day for the School as well as the School Counsel as they promised to uphold the ethos and values of DPS-84 and work as a team to take the School to greater heights. The event began with lighting of the lamp by the Principal and some of our esteemed guests. Then the School Choir presented an soul stirring, inspirational song which was followed by the introduction of the newly elected Student Council members. The Council members expressed their gratitude for having got the opportunity to develop in them the true qualities of leaders that can help them to blossom as global citizens and meet all challenges in their life. They also reflected on the goals that they aim to achieve before the next elections and they intend to contribute to the growth of all the stakeholders. It was heartening to hear the members speak about team spirit, working for others, their contribution in improving every aspect of the school environment which showed that the school motto “Service before self” is already ingrained in these young leaders. Our Principal, Ms Neelu Sharma, along with the proud parents of the Council Members, pinned the badges on the Head Boy – Krishna Verma; Head Girl –Devanshi Awasthi; School Sports Captain; Yash Yadav; The House Captains, Young Editors and the Green Brigade members. The new Council took oath to serve the School and all its members honourably, impartially and to the best of their ability. They promised to do justice to the position they held. Speaking on the occasion, Ms. Neelu Sharma, Principal, congratulated the newly appointed Student Council Members and urged them up to shoulder responsibility with actions and bring out positive results in all areas. She went on to state that assuming these offices are a stepping stone to become future world leaders. A mesmerising dance performance by the students Grades VII & VIII, was the perfect end to the glorious ceremony. Our School Coordinator proposed the vote of thanks. The programme came to a close with the National Anthem. The school extends its best wishes to all the newly appointed Council Members.